Finally! It’s out after many release rescheduling dates. The much-anticipated #TheMcpotarEP dropped on the 24th of July after a successful run of its preceding singles (Drop Some More and Like Me respectively). There are quite a handful of producers on this project (i.e. The Hitmen, DJ Krimz Beatz, Royal Prince, Amvis Instruments, ChiQoore, KingKong Beats) but is this what we were really waiting for? Let me break it down for you….. This apparently is the song that started the idea of an EP. Some intro tracks start off hyper but Potar chose to have a chill track as the intro to the EP. I’m not really sure if Carlo finished the hook, as it sounds incomplete but the verses are listenable as Potar proclaims that spitting on the mic is where he belongs. If you noticed the “ikon” tag, you’re spot on, DJ Krimz Beatz of IkoNik Muzik Group. The left, right panning on the track’s intro was a hinderance to my listening to this track but I had to brave it for this review. Another insightful track into Potar’s life, an ode about self-reflection where he has “everything”, when others may seem like they have achieved more than him. A relatable track, especially in this day and age where continous comparisons are made by society. Not really sold on the beat choice for this one. Now this one, hahaha THIS IS MY JAM RIGHT HERE!!!! Potar’s second team-up with The Hitmen, who produced the viral single Drop Some More. A number of topics touched on here, namedrops included, from Crooger, Schingy, Shingie Kaondera, The Nashs, chemically-induced yellowbones (caramel face, dark chocolate feet). Apparently this track was inspired by Nice Bhachi (Anonzi Xndr to the rest of y’all) on his Marukaz verse. This could have easily been called #Provokatif. The only thing that concerned me was the difference in clarity of Potar’s voice, compared to Sharky’s. I’m guessing it’s the use of different mics or maybe mastering (well it’s only slight). Sharky’s verse is not to be slept on. Young man brought the heat and proved that he too can ‘popota’. Amma beast. Killer bars expected here, that’s what screamed at me when I saw the title. This sis one of those braggadocio, in-your-face bars that have become synonymous with Zim Hip-Hop. The hook is okayish but could have been better. Potar goes in first, followed by Family Bizness partner-in-rhyme Navy Seal telling us why he’s a beast. Third verse I wasn’t impressed with. I’ve listened to Cashbid before on other tracks and this was average delivery for me. The usual commanding demeanour he has was missing here. It’s easy to miss most of his punchlines, and yes I’m comparing Cashbid to Cashbid. Most might say this is a dope verse and I’m hating but I’ve heard better, from him. This sounds like a freestyle, with a boom bap type of beat where Mcpotar showcases his lyrical prowess. a couple of shoutouts at the end signaling the official end of the EP. I was expecting a Navy Seal verse on this track, no lie but alas he was restricted to the hook (sabotage? Lol). My other favourite track off the EP. This track speaks to me, as I’m always up at 2AM, dunno about the progress part. Trap beat was courtesy of KingKong Beats out of SA. A necessary bonus track that completes the curtain call. A surprising omission from the EP is My Struggle, Your Struggle, which would have made for a sufficient bonus track. Overally I think, with the help of friends and associates, this is a solid EP. It is more than just a few tracks thrown together but is the coming together of different minds from different backgrounds to paint a combined picture. This is a step up from Mcpotar’s previous musical efforts and the experimentation with a newer sound seems to have paid dividends. 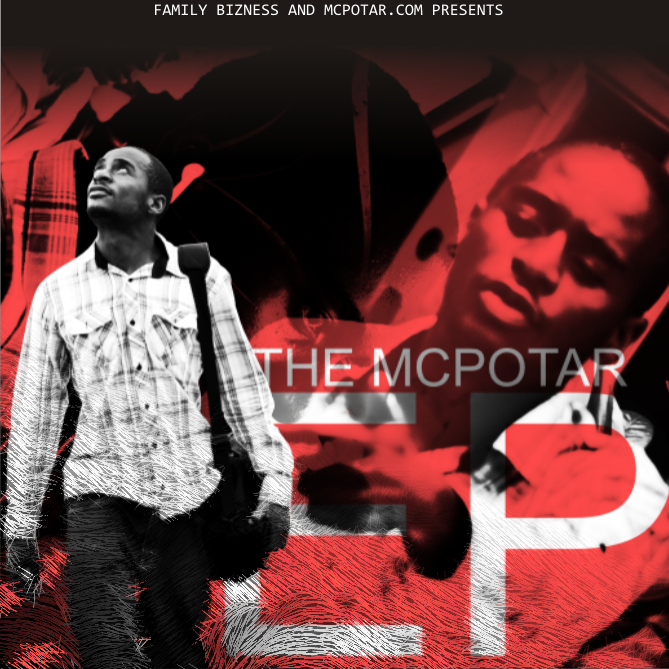 I hope this EP is a sign that Metaphors We Live By (Mcpotar’s rumoured debut album) is on it’s way to us in the not so near future.